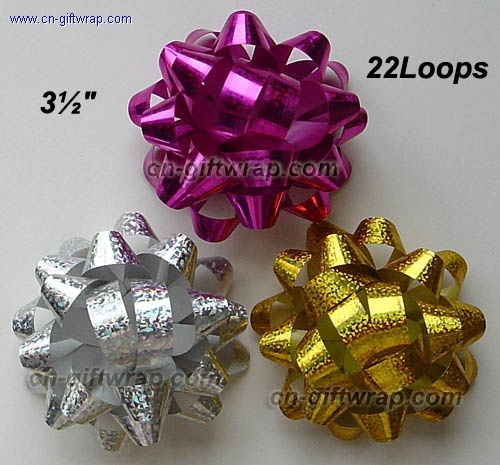 Holographic Star bows ribbon bows,YUYAO WANJI GIFT PACKAGING CO.,LTD. Add dazzle to your packaging with the traditionally classy Star Bow. Available in a variety of sizes and a variety of attractive colors.